"Shattered Personal Checks" product is already in your cart. Show your abstract flair by ordering Shattered Personal Checks directly from Extra Value Checks. These checks have an abstract design resembling shattered glass patterns and rotate between four color combinations. Available in both single and duplicate check formats. 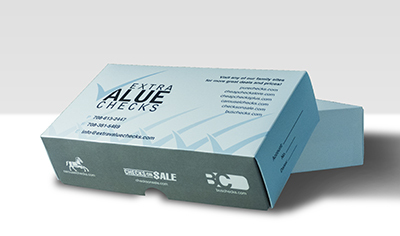 Matching address labels and checkbook covers are also available from Extra Value Checks.